With its five-point laser, the Johnson JLT 5-Dot Self-Leveling Laser can project up, down, forward, left and right. Depending on the application needed the beams can be activated two, three or all five at the same time. It can be used on a wide range of indoor and outdoor applications such as setting foundations and footings, alignment of concrete forms, layout of interior walls, room additions/partition and many more. 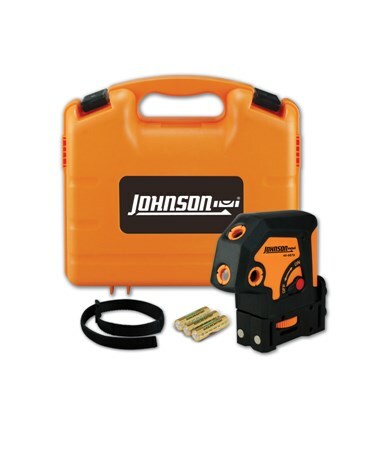 This Johnson JLT 5-Dot Self-Leveling Laser comes with a multi-functional magnetic base and reversible bracket for flush track drywall/framing. It also features a laser housing design that allows the fast and easy top and bottom track installation. Its pendulum is protected by a locking compensator to secure the laser during transport. This laser is set plumb, level, and square. It has an accuracy of ±1/8 inches at 50 feet and self-leveling range of ±3 degrees. Its interior range extends up to 100 feet. An IP-54 rating ensures dust and water resistance. 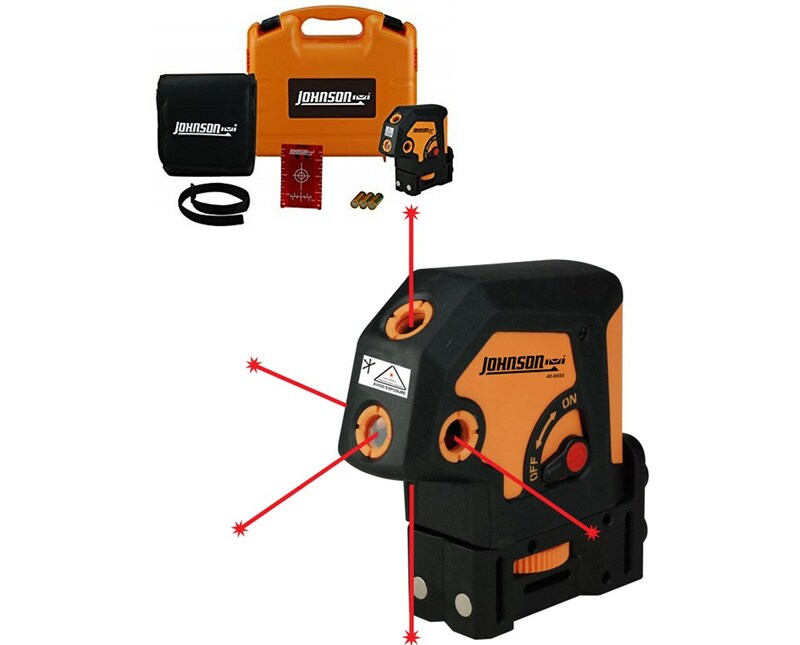 The Johnson Self-Leveling 5 Dot Laser comes with multi-functional magnetic base, three "AA" alkaline batteries, mounting strap, instruction manual, and hard-shell carrying case. It also comes with a 3-year warranty. 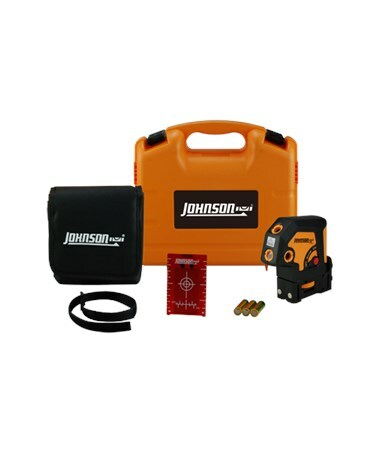 The Johnson JLT 5-Dot Self-Leveling Laser is available in different packages. Select your preference from the drop-down menu above. 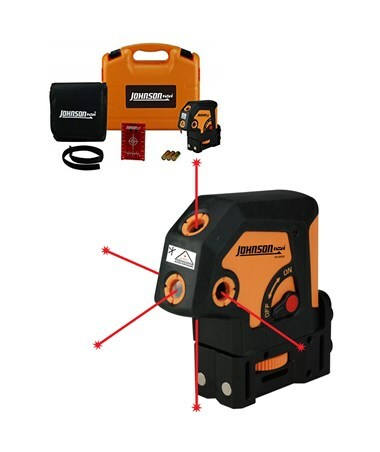 This package includes multi-functional, magnetic base, 3 "AA" alkaline batteries, mounting strap, magnetic target, instruction manual with warranty card, soft-sided pouch and hard-shell carrying case. ±1/8" accuracy at 50 ft. Interior range of up to 100 ft.